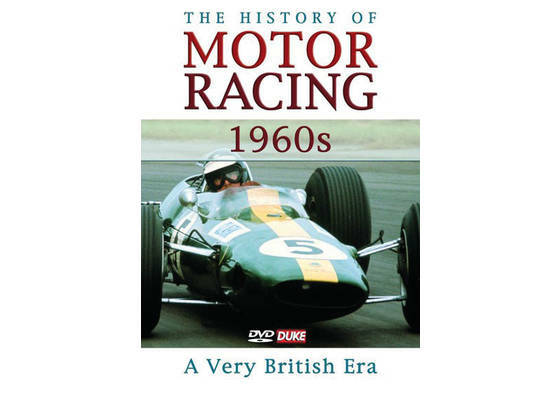 The product "DVD The History of Motor Racing 1960s - a very British era" was successfully added to your wishlist. From the very outset of the decade, the years 1960-69 were to remembered as a time of great significance and excitement in the history of motorsport. Never before, and not since, had Britain been so to the fore in Formula One motor racing. Rapid technical development transformed the performance and agility of the cars whilst charismatic drivers in shorter races on demanding circuits guaranteed the excitement. Superb archive action footage and interviews, the many memorable races and characters of a momentous period in Grand Prix history. Featuring Jack Brabham, Jim Clark, John Surtees, Graham Hill, Jackie Stewart and Denny Hulme and racing machinery from Lotus, BRM, Matra, Honda and Ferrari. Running time 132 minutes, English language.